Some say that Main Street won’t ever really be the same again. Or will it? 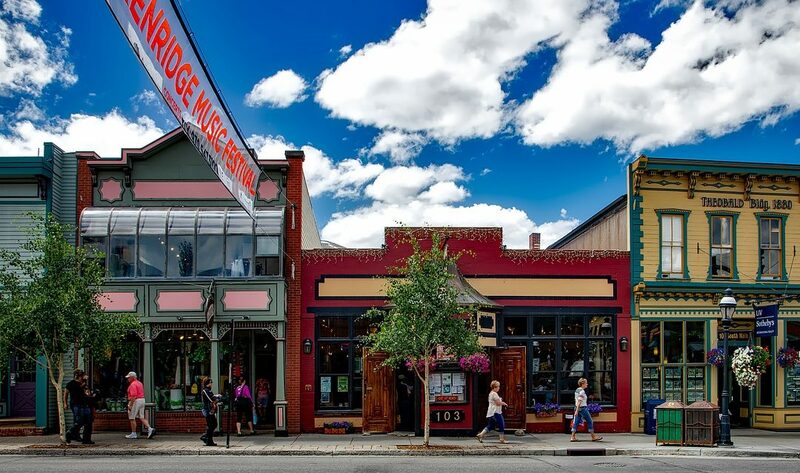 To successfully revitalize Main Street, we have to look beyond the storefronts and brands that once defined it. We have to accept Main Street for what it was – a community center. We must embrace the nostalgia that overwhelms us when we walk down Main Street and recognize that it’s not the A&P we miss, but the centralized feeling of community. When we recognize and accept these underlying values of Main Street we can begin its restoration. A recent New York Times article, The Myth of Main Street, purports to bust the myth that is Main Street America and expose it as a “luxury consumer experience.” Is it possible that the author missed the mark on this one? Perhaps what the article perceives to be the “myth of Main Street” can (and should) be more aptly described as the “magic of Main Street.” Like magic, Main Street has the transformative power to take the ordinary and make it extraordinary – turning our everyday streets into vibrant downtowns. Some may believe that the idea of Main Street in present times raises “false hopes” for a past we can never return to. But is our “nostalgia for Main Street” really misplaced? Do we yearn for a place that can truly no longer exist? We have the same desire and need for community that we’ve always had. Main Street may look a little different today, but truthfully, it hasn’t changed all that much – and neither have we. Main Street is the town’s heartbeat; and, although it may not beat as fervently as it once did, it still beats. We just need to listen for it. Main Street is more than soda shops and Mom & Pop pharmacies and it always has been. It is not elitist. It is home. It’s where we go to see our neighbors and connect with our community. Main Street doesn’t require shoppers looking for a “luxury consumer experience” (although they are a welcome addition). Main Street requires people with a need and desire for community. Main Street didn’t abandon us; we abandoned Main Street. Of course, deindustrialization changed the face of Main Street, but we let it change its character. Similarly, the rise of online services has made it easier to order everything online (from pizza to prescriptions). With these events, the evolution of Main Street had begun. For too long we’ve been unable to look past its first residents—pharmacies, soda shops, and Five and Dimes—to see its future. Although it may no longer be the industrial center or commerce hub it once was, Main Street can still be the heart of our communities. We may have traded in our cherry smashes and moon pies at the Main Street pharmacy for coffee and cronuts at the nearest coffee shop, but we’re still the same, indulging our need for community (and sugary drinks), whether we’re swiveling on chrome barstools or lost in an oversized coffee shop couch. And there’s no reason we can’t still do it on Main Street. What does Main Street look like today? Just because we’ve changed the way we shop, that doesn’t take away our need for community. The very things that once made Main Street attractive to industry still make it an attractive canvas for community economic development projects today. Its central downtown location makes it a great spot for new businesses, municipal agencies, restaurants and community organizations. But first, we must look beyond our dreams of shoe stores and 5-cent sodas to what we can do today. While Main Street buildings may not be prime targets for big-box retailers, these buildings can still have a useful and successful life. Downtown buildings can be repurposed into co-working spaces, business incubators, accelerators, business or event spaces, or cafes. Mom & Pop shops are still out there. They may no longer be the predominant way of life, but they’re out there. They still need a place to locate their ice cream shops, hardware stores, restaurants, and yoga studios. And when they come looking Main Street will be there to welcome them back. Don’t be deterred by aging facades, vacant lots, or buildings that have outlived their useful purpose. Tailored incentive programs and downtown improvement grants can help you recast your downtown in the vibrant community center it was meant to be. Historic architecture and streetscapes can be a walkable glimpse into our histories. Vacant lots can be transformed into open air farmer’s markets or outdoor event venues. Barren walls and alleys can have new life as a showcase for your community’s artistic talents. For example, downtown Wendell uses murals to improve the vibrancy of its community and honor its heritage. Wendell’s murals attract visitors and spark conversation. Similarly, you don’t have to sacrifice a building’s history for the sake of renovation. In Warrenton, a 1907 hardware store doubles as a National Historic Register site and a café. At the Hardware Café you can enjoy your sandwich with a side of history where a rolling ladder rests high on the store’s original shelving. In Newton, the Green Community Theater acquired and renovated the old downtown Post Office transforming it into a state-of-the-art theater facility. Keeping with the building’s previous use, the post office boxes were preserved and are now used to disperse tickets instead of mail. When it comes to magic, seeing is believing. But when it comes to Main Street, believing is seeing. The soda shop may be gone, but the coffee shop and craft brewery are moving in. Main Street may look different than it did before, but the essence is still there. Main Street is still there. And it’s ours for the taking. Please see our disclaimer, click here to learn more about our community economic development practice and send us an email at info@sanfordholhsouserlaw.com if you want to learn more about creating programs to help revitalize and preserve your Main Street.